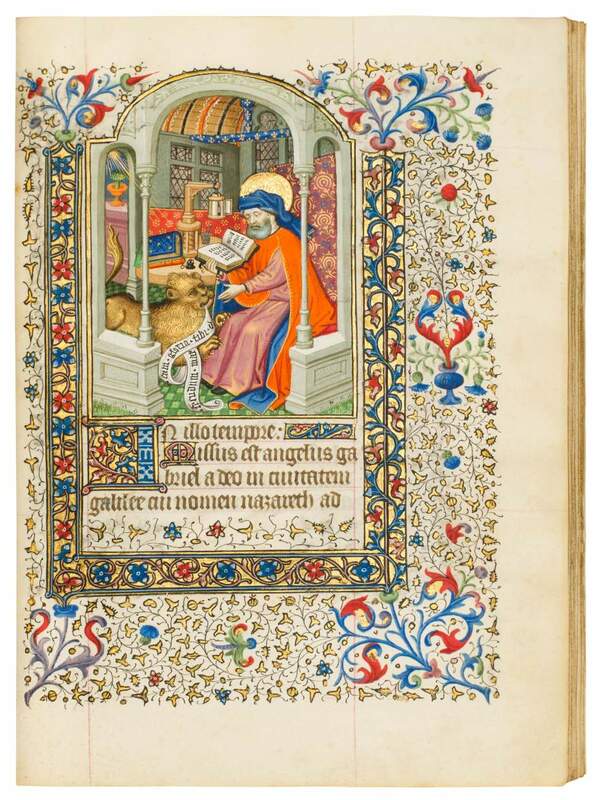 Among the genre of “Books of Hours” many fine or even superior examples of illumination can be found. This manuscript, however, is a supreme masterpiece, reigning over even the loveliest of books and utterly exceptional. This is a brilliant ensemble that makes us marvel at the story behind its enigmatic genesis. Illuminated manuscript on vellum, in Latin and French. The dazzling De Croix Hours, made in Paris, c. 1430-1435, is one of the most profusely illustrated books of hours of the 15th century and a masterpiece of collaboration between three of the most important and talented Parisian illuminators in the second quarter of the 15th century. Two of these outstanding illuminators emerged out of the circle of the Bedford Master: the first as his apprentice, the second, the Dunois Master, as his successor. The third, the Harvard Hannibal Master, is an assumed trainee and collaborator of the Boucicaut Master. Altogether they are responsible for 69 miniatures, 34 of which can be admired here. Each text page is framed by highly elaborate gold leaf tendrils enclosing the written space. The text itself features an extensive and unparalleled Psalter of Saint Jerome that is supplemented with prayers for male use. The numerous references to the French fleurs-de-lys makes one wonder about the circumstances of the original commission. Later in the 15th century, the book came into the possession of Isabeau de Croix, oldest daughter of Jean de Croix (who may have been the original owner). This provenance is corroborated by a 19th-century inscription that in all likelihood replaced a medieval when the book received its present binding.